And not just for her own considerable sense of vengeance. Her father, Theo, the first and most powerful vampire is enraged by the attack on his daughter and a loose cannon ready to rampage across the planet if need be to find his own answers. As she and her team follow Enyo’s trail (and she firmly sets aside any distractions that try to derail her) it quickly becomes clear that Enyo is just the tip of the iceberg – there’s something rotten in the Vampire Nation and Hunter Corp – and perhaps beyond. Rowan is probably a character you love or hate – I imagine there’s a lot of division over her. Personally I love her. She’s harsh and abrupt – and that does come across as the classic anti-social badass or even Keille Independence. But I think she draws the lines in the right place, she doesn’t rant and rave for no reason – and she doesn’t explode, she’s always in control. But she takes no prisoners, she refuses to waste her time and when there’s a job to be done she expects to get it done and not have to jump through extra hoops. Whenever political processes are getting in the way – whether the Hunter’s Guild or the Vampire Nation, she is brutally scathing in her assessment. Whenever organisations want to play games (or even people – she has no patience for Warren and Clive grandstanding over her) she simply refuses to play. This is her operation. This is what she’s going to do. You get with the program or she leaves you behind after cursing you out and maybe threatening to do unpleasant things to your anatomy. Yes she’s angry, harsh and has zero respect for authority – but only because people are being distracted by nonsense, keeping secrets and pursuing unwise, distracting and even outright disastrous agendas which are stopping her doing her job. So, personally, I love it. I love her take no prisoners approach. I love her complete irreverence with everyone. I love the way she is quite willing to curse out a fool for being a damn fool – because she always does it with good reason, it’s never gratuitous and you can see a clear motive as to why. It’s also noteworthy that those who have earned her respect, those who act in a sensible manner, get her respect back. That said, if someone said they couldn’t connect with her because she was a classic rage monster, I would understand where they were coming from. And some of her snark is just perfect: “I’m going to get you some pearls to clutch every time I say something outrageous.” And “I thought you creatures liked to pontificate about your plans and machinations like you’re all Machiavelli? If that’s not true and it’s only in the company I keep I’m going to be super pissed at how much pontificating I’ve listened to over the years.” May be my favourites. I also think her personality links in well with her character development – as the step-daughter of Theo, the First Vampire, she isn’t all that impressed with anyone in the Vampire Nation. She’s too used to being closer to the very top rung of the ladder and also deeply aware of its flaws. Her experience with the vampires has also given her so much more insight and competence than most of her fellow Hunters that she’s impatient with their waffling. Ultimately, Rowan doesn’t like her time being wasted, she’s extremely competent, very goal orientated and those are high standards she applies not just to herself but also to the people around her; and they often fall short. This also fits with the world building – and the meta-plot that was really developed in this book. The Vampire Nation has been complacent, they’ve allowed what they considered to be a minor issue to get completely out of control and now they’re facing a major disaster. Similarly, the Hunter Corps has far too many people in positions of power who have no field experience and are both unfamiliar with vampires and completely divorced from the realities of the hunt and vampire culture. We saw that a lot in the last book but it is further reinforced here. In other words, these organisations have both failed in their set task, it nearly cost Rowan her life and they’re now looking to her to clean it up. She’s not a saint, she is not amused by their screw ups and she’s going to let them know. She has an overwhelming reason to be this angry with them. This also leads to some nice development of Rowan questioning her loyalties – with the Hunter Corp screwing up as much as it is and pretty much betraying her, how much is she willing to continue to associate with them? But while she loves her step-father she never denies his abuse, his past actions nor the delicate and dangerous nature of this vastly powerful vampire. The downside to all this is the pacing of the book wasn’t ideal. 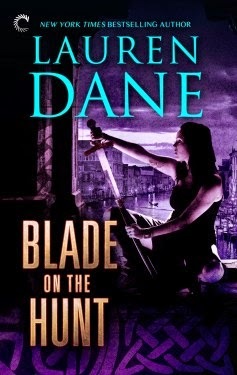 I could have loved this book, but have to tone down my praise because there was a lot of setting up the greater conflict for the rest of the series. We spent a lot of time on ominous foreshadowing and background shenanigans which Rowan didn’t/can’t do anything about – and it felt it got in the way of the actual hunt. As did her relationship with Clive – and I like this romance, it’s nicely rocky, passionate and tumultuous but rowan is characterised by her laser-like devotion to her purpose and the distraction felt out of place at times. It’s an unfortunate blip in an otherwise excellent story. I don’t think it’s inherently bad and there’s nothing Rowan does wrong – but it’s clear there’s a fair amount of this book devoted to the next book as opposed to Rowan’s hunt for Enyo. There is a lot of good character building of side characters like David and some surprisingly good humanisiation of Theo, his complex relationship with Rowan and the danger he represents – that humanity and power was well presented, though it does have a strong edge of mental-illness-as-danger again. We also have some good female characters to back up Rowan, albeit not in any huge capacity. Another unfortunate blip is, sadly, the lack of minority characters. Some of the Five (Theo’s personal guard) may be POC but while they’re powerful and capable they’re also not really present that much in this book. There are no LGBT people. I didn’t like this book as much as I liked the last two – but that is because the last two set the standard very high and this book is, in a way, a transition book. Yes, Rowan is hunting for Enyo but it’s also introducing a greater meta plot to come – the series had found its feet through a couple of semi-single event books and now we’re getting a much more meaty overarching plot to pull me in and make me keep reading the whole series.